The air supply for on/off applications is controlled by using solenoid valves, which are fitted directly on the valve actuators. SOMAS offers solenoid valves from well-known manufacturers and there are also special solutions for specific functionality available. The connection between a solenoid valve and actuator is either made with a plastic hose or a pipe made of stainless steel. 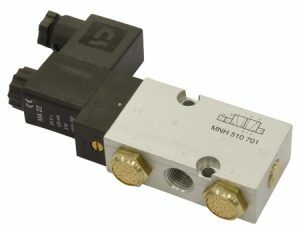 For more information about solenoid valves, or any documentation related to any of our other products or services please click below.